Installs easily. 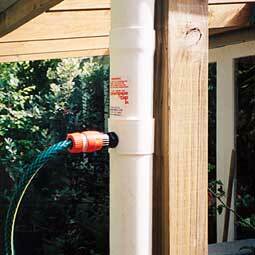 Simply lift the sleeve and lock in the spout to flush away gutter debris or recycle rooftop rainwater. 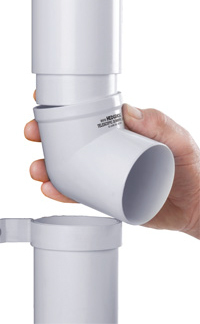 These easy to install devices can divert precious rainwater from the downpipe to your garden, pool, laundry or toilet, before you lose it down the drain.